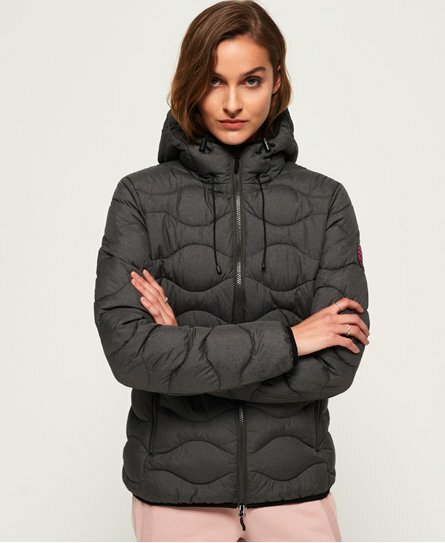 Superdry women’s Astrae quilt padded jacket. This classic quilted jacket features a zip fastening, a bungee cord adjustable hood and two front zip fastened pockets. The Astrae quilt padded jacket also features an elasticated hem and cuffs, perfect for keeping the cold out. This jacket is finished with a Superdry logo badge on the sleeve. Throw this jacket on over a graphic hoodie and skinny jeans for a casual but cosy look.